Here at Viezu we can make best use of your vehicle’s potential with an ECU chip tune for your Ranger 2016-present 3.2 TDCi 197 bhp (2016-now). Viezu remaps are developed in house on our 3000bhp dyno for our customer’s exact needs so you can be sure that you’re getting the best for you and you’re Ranger 2016-present 3.2 TDCi 197 bhp (2016-now). Viezu is an ISO company, this will ensure you are getting the best chip tune. With the Viezu VPERF remap we make sure you are getting the best out of your car. Ford is the second largest US car manufacturer so it’s no surprise that Viezu offers a very wide range of Ford tuning and Ford engine remapping. Viezu has developed range of Ford chip tuning and Ford ECU remapping services covering virtually all Ford vehicles. The Ford tuning we provide is bespoke written so it can be tailor made to suit your needs for a standard car or a car with an uprated exhaust, larger intercooler and induction kit. Viezu’s Ford chip tuning will improve overall power and torque, driveability and throttle response, as well as improving Ford fuel economy and fuel efficiency. Viezu has remaps covering both Ford diesel tuning and Ford petrol tuning. 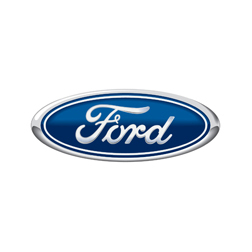 The Ford tuning process is done quickly and efficiently through the OBD port taking roughly 30 minutes to complete. The Ford remapping process can be tailored to meet your individual needs whether you need performance, economy or a blend of the two, ensuring you get exactly what you want. Ford Focus ST and Focus RS tuning is a must for any owner of these cars to truly release the full monstrous potential of the 2.5t engine. All Ford tuning and remapping work comes with Viezu’s no quibble money back guarantee and full underwritten insurance. 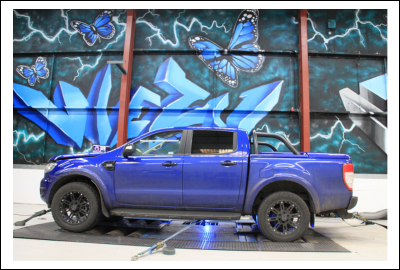 Ford car tuning is developed in house by our team of experts on our environmentally controlled rolling road and for many thousands of miles both in simulated and real life conditions. Take your Ford Fiesta ST Ecoboost to a whole new level of performance with a stage 1, stage 2 or stage 3 upgrade package. Viezu provides engine remaps for the majority of the Ford range including the Ford Fiesta, Focus, KA and Transit. Whatever your Ford tuning and performance requirements the Viezu team and our worldwide dealer network are here to help. Please contact us and let us know how we can be of assistance.